2017, the 500th anniversary of the Lutheran Reformation, is fast approaching. I have been giving some thought as to how Red Brick Parsonage might contribute to the celebration, and I think I have hit upon the answer. In 1915 Breitkopf and Härtel of Leipzig printed the introduction and first two chapters of Wilibald Gurlitt’s inaugural dissertation on Michael Praetorius of Creuzburg. That material alone took up 138 pages, and does not include the final two chapters which are available in manuscript and galley-proofs both in the University of Freiburg Archives and in the Duke August Library in Wolfenbüttel, the city where Praetorius passed away. On page 139 of the dissertation, Gurlitt included a brief autobiography, detailing his life from the date of his birth up to the year he delivered the dissertation. If you wish to read more about Gurlitt’s life, you can check out the English or German Wikipedia articles on him. You can see a picture of his father here, and of the man himself here. God willing, this translation of Gurlitt’s autobiography will be the preface to a series of posts which, in their sum total, will provide you with a complete translation of Gurlitt’s defining work on the great Lutheran composer and musicologist, Michael Praetorius. It is certainly fitting that, as we prepare to celebrate the 500th anniversary of the Lutheran Reformation, we become better acquainted with Praetorius and his work. But in studying the origins of Praetorius, we will by necessity also acquaint ourselves with the history and development of the Lutheran Reformation itself. God grant that this journey may be a blessed one, and may lead us to marvel all the more at our omnipotent God and his magnificent and merciful works. UPDATE (3/27/19): I have set this translation project aside for the time being, in favor of a more concise and readable Praetorius biography. Please refer to this update for more information. I, Wilibald Gurlitt, was born on March 1, 1889, in Dresden to the university professor Cornelius Gurlitt. I am of Evangelical Lutheran confession. In Dresden I attended the St. Anne Semi-Classical Secondary School (Annenrealgymnasium)1 and passed the maturity examination (Reifeprüfung)2 in Easter of 1908. I studied at the Universities of Heidelberg and Leipzig, predominantly philosophy and the history of civilization at first, but later chiefly music science, in particular the history of music in the 16th and 17th centuries. I began my practical training in music during my schooling in Dresden as a private student of Erdmann Warwas (violin) and Clemens Braun (theory), continued it in Heidelberg with Professor Philipp Wolfrum (counterpoint) and Karl Hasse (organ), and later on my own. For lasting artistic advancement I owe a debt of thanks to Professor Karl Straube, organist at the St. Thomas Church in Leipzig. From April 1, 1909, to March 31, 1910, I fulfilled my compulsory military service in the 1st (Personal) Grenadier Regiment no. 100 in Dresden, and also attended evening lectures at the University of Technology (Technische Hochschule) there during the winter semester of 1909-1910. Apart from the lectures of my father, the artistic (geisteswissenschaftliche) method of Professor Oskar Walzel fostered my development above all. During the summer semester of 1911 the graduate assistant position in the collegium musicum in Leipzig was entrusted to me, in which I have occupied myself both with the arrangement and study of obscure music of the 17th century and as a violinist. From April to October of 1912, having been granted a leave of absence by the university, I undertook a rather extensive study trip in order to gather material for my music history thesis. For this purpose I spent considerable time in the archives and libraries of the cities of Berlin, Gotha, Weimar, Wolfenbüttel, Braunschweig, Helmstedt, Halberstadt, Hannover, and Hamburg. 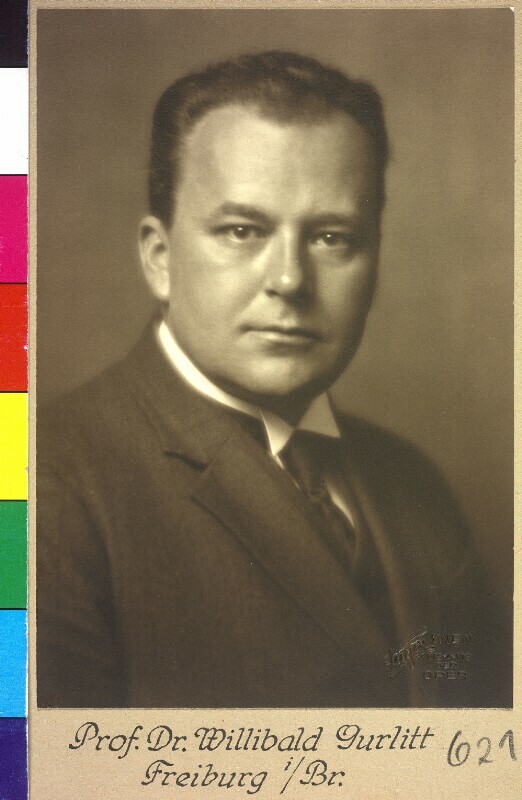 Of my teachers at the University of Leipzig, I am especially grateful to Professors Hauck, Köster, Lamprecht, Spranger, Volkelt, Witkowski, and Wundt, and to the independent lecturer (Privatdozenten)3 Dr. Schering, whose graduate assistant position I occupied during the winter semester of 1911-1912. Finally, I have Professor Dr. Hugo Riemann to thank for what I am today. 1 A nine-years’-course-school teaching Latin but not Greek. 2 The maturity examination entitled the successful candidate to matriculate without any further test at any German university. 3 A distinguished, but unsalaried lecturer at a university who receives only the students’ fees. Do you have any plans to continue your translation of Gurlitt’s work on Michael Praetorius? It would be wonderful for this to be more widely available in English.